Taste freedom on the wind. 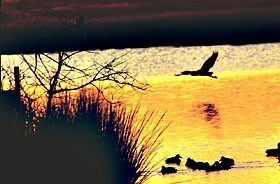 Witness the divine in every ripple of the river. 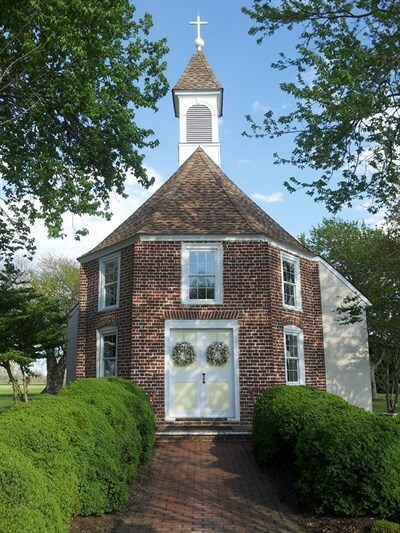 Explore Southern Maryland, cradle of American religious liberty. 189 miles from Port Tobacco to Point Lookout on country roads and distinguished Main Streets. Part of the Great Chesapeake Bay Loop. To board a tiny ship and set sail across the broad unknown of the Atlantic, Maryland’s first English colonists must surely have been drawn by something magnificent, and indeed, they were. For these brave souls, Maryland was a new world where new ideals might take hold. They gave up not just their old lives, but their whole known world to build a new home on the shores of the Chesapeake Bay. In Historic St. Mary’s City, “the birthplace of religious toleration in North America,” they would build the foundation of American freedom. Today, you can follow in the wake of these pioneers through a tidewater land in places unspoiled by the winds of time along the Religious Freedom Byway. This route is also part of the Great Chesapeake Bay Loop and visits places to enjoy and explore the bay. The byway begins in Port Tobacco, originally a Potapoco Indian village where Jesuit Father Andrew White established a missionary outpost. Visit the one-room schoolhouse built in 1872 and tour the Port Tobacco Courthouse, now a museum containing tobacco exhibits and archaeological finds. Continue west, stopping at the Christ Church Durham Parish. Though the parish dates to 1692, the current brick structure was constructed in the 1730s. Next is Smallwood State Park, which houses the estate of Gen. William Smallwood, a Revolutionary War hero and the fourth governor of Maryland. There is also a marina and excellent fishing opportunities. Numerous national bass-fishing competitions have been held here. Freshwater fishing is available on a 23-acre lake inside the Myrtle Grove Wildlife Management Area. Then, as you head back to Port Tobacco, be sure to stop by the Mt. Carmel Monastery, which was established in 1790 as America’s first religious community for women. The last stop on this portion of the byway is the 322-acre Thomas Stone National Historic Site, which is also part of an 830-mile Potomac Heritage National Scenic Trail that stretches between the Chesapeake Bay and the Allegheny Highlands. Take a guided plantation tour to learn about Stone, who was one of four signers of the Declaration of Independence to hail from Maryland. The Old Jail Museum in Leonardtown also serves as a county visitor center. A cannon from The Ark, a ship that first brought colonists to Maryland, is displayed on the museum grounds. Watch sailboats glide through the water or launch a kayak or canoe at the Leonardtown Wharf Park. Take a water taxi from the St. Clement's Island Museum to St. Clement's Island to see where the first English settlers landed in the Potomac River. For convenient access to water-based recreation, Leonardtown has a waterside park with a launch for canoes and kayaks. Journey through a place where ancient waters, heartland towns and the roots of America’s religious heritage mingle along The Religious Freedom Byway. Head south toward Chapel Point to visit the oldest continuously serving Catholic parish in the nation, St. Ignatius Catholic Church, which was established by the Jesuits in 1641. Nearby is St. Thomas Manor, which was constructed a century later and is the oldest Jesuit residence in the world still in use. 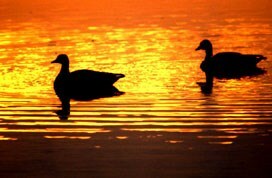 Travel east through Zekiah Swamp Natural Environment Area to reach Chaptico, a port town that was occupied by the British during both the American Revolution and the War of 1812. Christ Episcopal Church, King and Queen Parish, was built here in 1736 on land donated by Francis Scott Key’s grandfather. The church is open to the public for tours, and visitors are encouraged to enjoy the annual strawberry and fall festivals. Branching off the main byway, head south to Coltons Point and the St. Clement’s Island Museum, which features exhibits on Maryland’s early history and serves as a launching point for water taxi rides to the island itself. 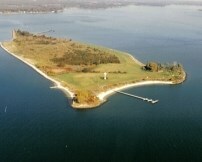 St. Clement’s Island is where Father White celebrated the first Roman Catholic Mass in the colonies. Today, the island is a state park on which a 40-foot-tall cross honors those first colonists who, in 1634, conceptualized the separation of church and state. Continuing past St. Francis Xavier Church, the oldest Roman Catholic Church in the state, you enter the heart of Leonardtown. Be sure to visit both the Old Jail Museum, a tourist information center that also contains early Maryland artifacts, and Tudor Hall, a 250-year-old Colonial House now operated by the St. Mary’s County Historical Society. The next stop is St. George’s Episcopal Church, which has held services since 1638, making it the oldest Episcopal parish in Maryland. 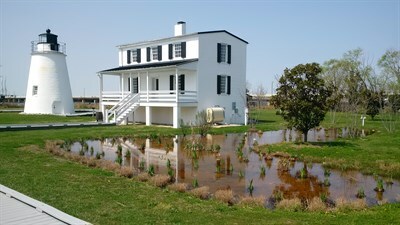 Continue south to visit Piney Point, the site of the Piney Point Lighthouse, the oldest lighthouse on the Potomac River. From there, make your way to St. Mary's College of Maryland, a female seminary that was established in 1840, which now is a co-educational state college and hosts a weekly summer concert series. Probably the most visited destination on this byway is Historic St. Mary’s City, an expansive living-history museum and archaeology site. Serving as Maryland’s first capital from 1634 to 1695, St. Mary’s City was the fourth permanent settlement in America and site of the first Catholic chapel in the colonies. Exhibits include a reconstructed 17th-century State House, a tobacco plantation, an Indian hamlet and a replica of the Maryland Dove, one of the two square-rigged ships that brought the first settlers to Maryland. Heading toward the Chesapeake Bay, you can see several lighthouses and visit Point Lookout State Park, which offers beaches on the Chesapeake Bay, a boat launch, fishing areas and campgrounds. But there’s another side to this picturesque peninsula — during the Civil War, Point Lookout served as a notorious prison camp where more than 4,000 Confederate soldiers died. Ghost stories abound, bringing a haunting conclusion to this spiritual journey. A southern branch of this byway takes you to Cobb Island, well known for its fishing and seafood. Along the way, you can visit Christ Protestant Episcopal Church, built in 1750. It was the parish of Thomas Claggett, who became the first Episcopal bishop consecrated in the United States in 1792. Look for special events in the Leonardtown Arts and Entertainment District, such as Plein Air Painting. The Freedom of Conscience Monument, which sits at the entrance to Historic St. Mary’s City, was erected nearly 80 years ago to commemorate a 1649 Act passed by the General Assembly that mandated religious tolerance of all Trinitarians, laying the foundation for the First Amendment to the U.S. Constitution. 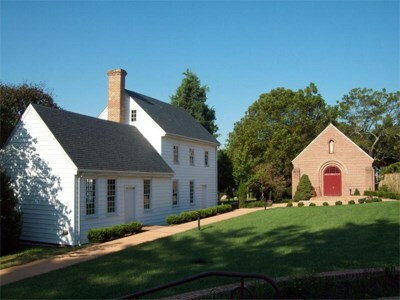 Experience the 17th century at Maryland's first capital - Historic St. Mary's City. Interactive and participatory displays at the village provide a glimpse into the lives of English settlers who sought democracy and toleration.